My desire to create an online class about discovering one’s art process, what my process is and how I use art journals to facilitate that process has resulted in these FREE videos. There may be a few more to come as well as links, pdfs and other resources. For now, I simply want to share some of the processes, tools and techniques that I have developed over this past year. These are practices that have helped me grow personally as an artist and give me some structure while still feeling free to go where the painting wants to take me. 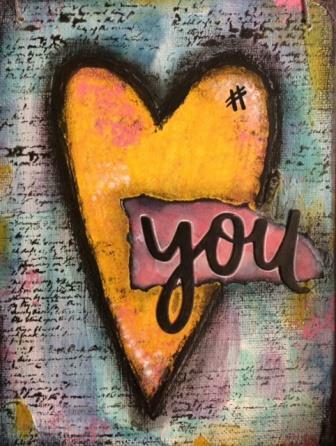 Have you ever wanted to try your hand at mixed media but not sure where to start? Or are you looking for a creative activity that can be done in a short afternoon? This “Thoughtful Heart” tutorial will introduce you to a variety of supplies and techniques in an easy to understand hour-long video. Each heart is customize-able will be unique to it’s creator, tailored with any word, phrase or poem you desire. They make great inspirational gifts for friends, family or just for yourself. A gesture drawing is a laying in of the action, form, and pose of a model/figure. I will often practice gesture drawing as a warm-up prior to starting a large art piece or going into a lengthy drawing or painting session. To learn more, click on the link below. 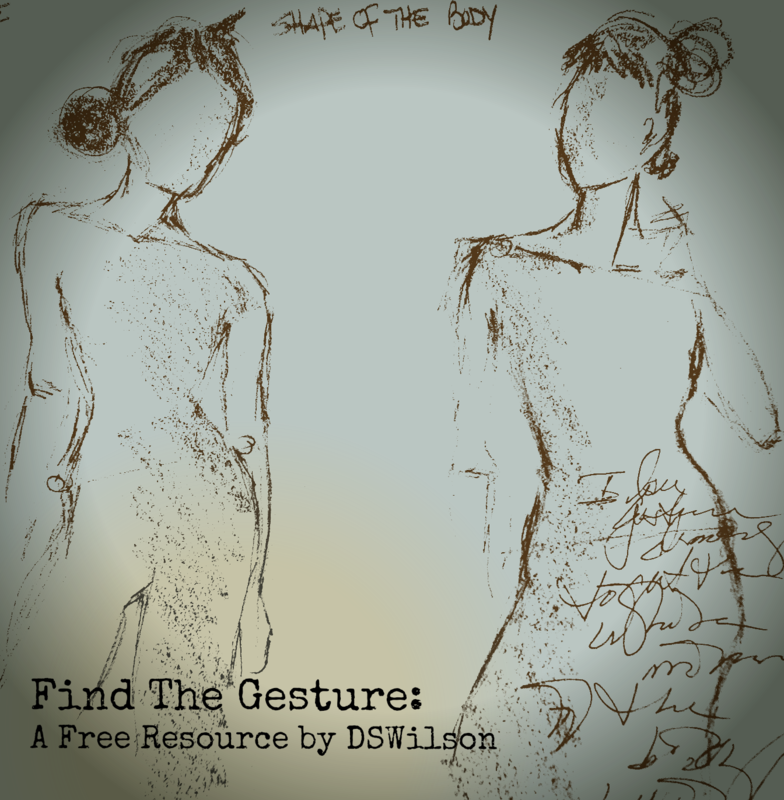 This Gesture Drawing Lesson is free for you to download and use for your own learning experience. In this printable and downloadable .pdf tutorial, I share with you my process of centering myself for creativity as well as my step-by-step process using multiple techniques for mixed media. A supply list is also included. Follow the link to learn more.